many times; we bold copper wire in order to get fast current speed, durability. impact on the mobile device. Compared to 1.0A output current, this power bank improves the speed of 140% of the charge for your mobile device. power left,turn off automatically after 25 seconds without operation. Power Bank: Netherland Post, Sweden Post, or others Post with tracking No. Other Products: China Registered Post with tracking No. Dispatch Time: 1-3days after payment process is completed. Please do not open dispute or leave negative feedback without talking to us. We value our customers as well as our feedback profile. If we ignore your message or we can not solve your problem, you can open dispute. Does your Vinsic 20000mah power bank have the real capacity? 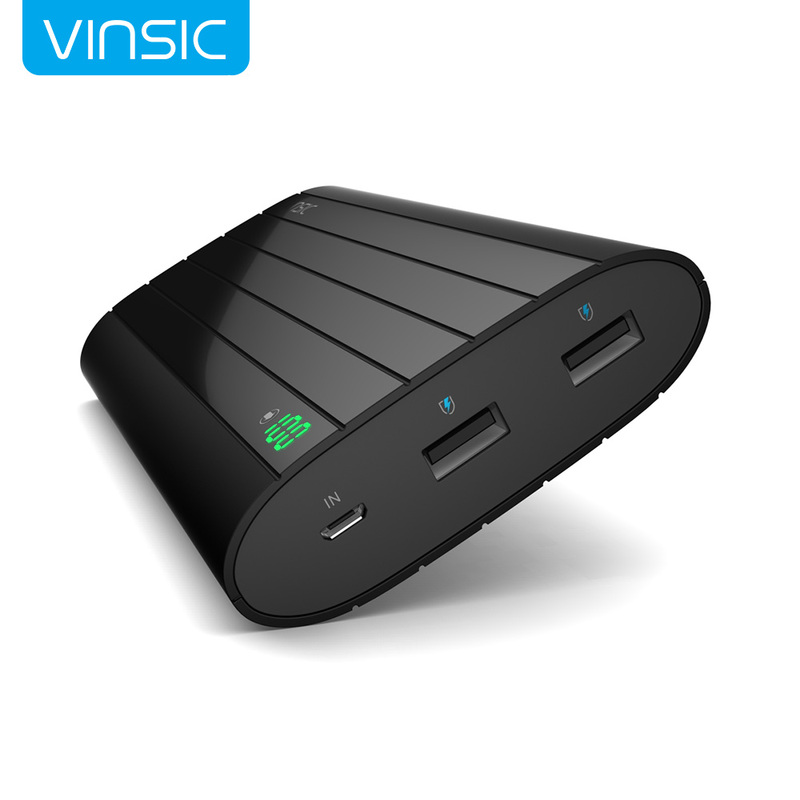 Vinsic is well-known brand Power Bank Company, we declare the real capacity for all power bank we sell. How many times can charger my phone? So 20000mAh Power bank, the total Number of Charger for iPhone 6 is 7 times. iPhone 4S:1470mAh ,for iPhone5: 1440mAh,for iPhone5s: 1560mAh,for iPhone6: 1810mAh,for iPhone6 Plus:2915mAh. How can I charge this power bank? We have a charging cable together with power bank; Connect this cable to any USB charger that can charge our power bank.